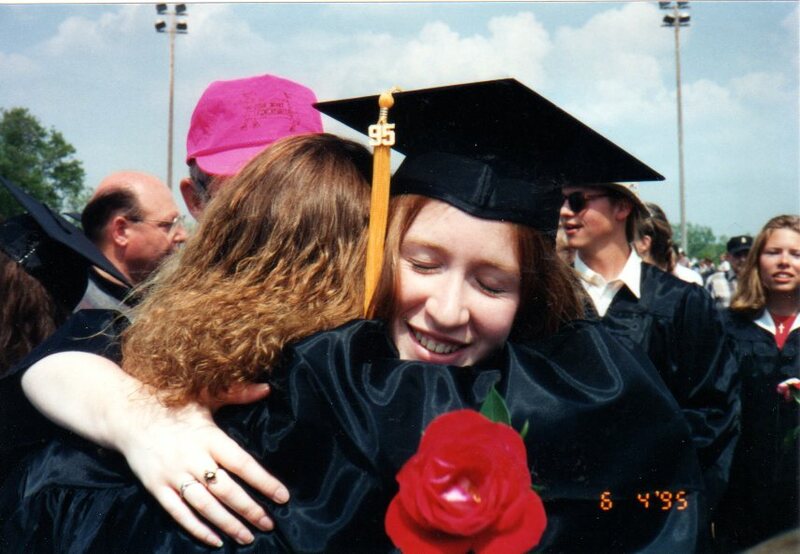 It's graduation season, so I thought it would be perfect to flashback to my high school graduation. 15 years ago TODAY I graduated from high school. It hardly seems that long ago. I mean, I can't possibly be that old, can I?! Here are a few shots of me and my closest friends from that momentous day. We're so full of hope - looking forward to our bright futures! I have to admit, I got a little weepy-eyed looking through my photo album (and writing this post). What good times we had that weekend! Click here to see my Facebook album with more pictures from this weekend. 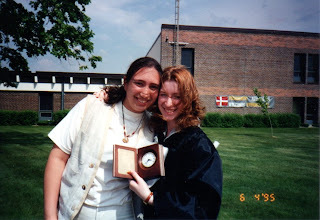 I graduated five years ago, and it seems like just yesterday! I can't believe it. I think I may go and look through my pictures now. Awww. 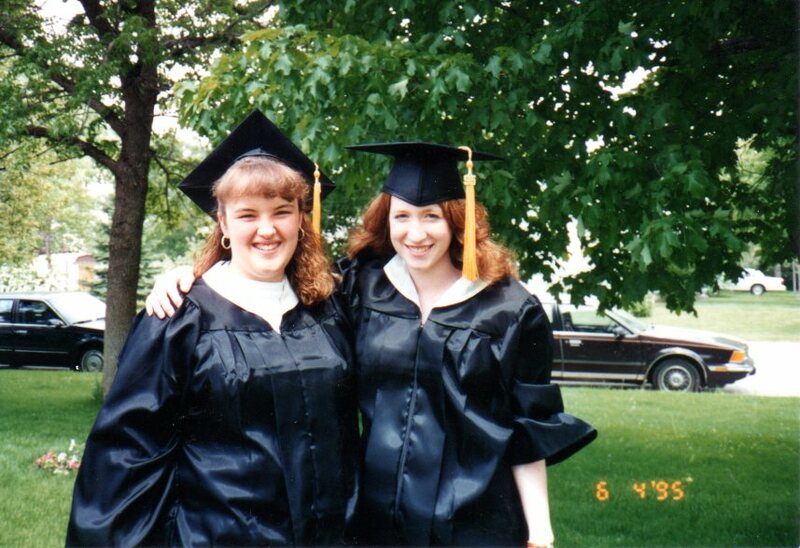 I don't even want to think about the fact that I graduated from high school 22 years ago. Eek. Those pictures are just how I remember you looking! 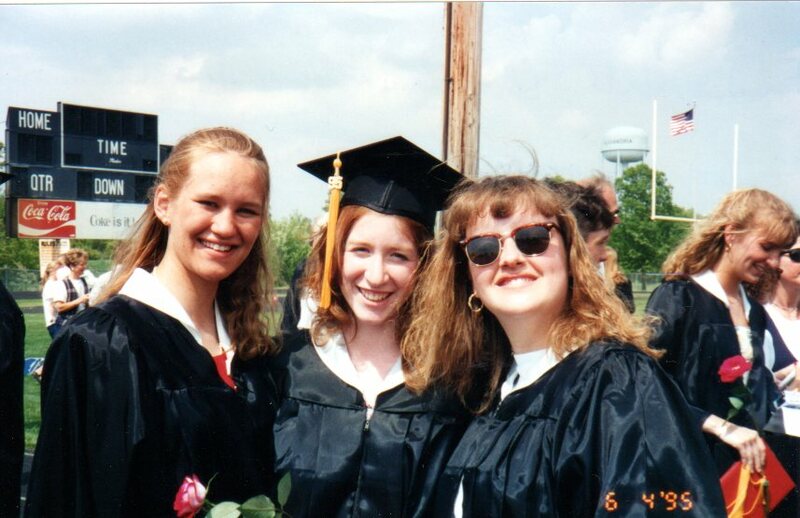 I'm coming up on my 20 year anniversary of graduating from high school (next year) and it's making me feel OLD!